Stop losing your money dreaming of patterns that not exist and start winning by placing the right bets at the roulette table. Discover how to choose the best online roulette minimizing the house edge! Whether you are planning your next trip to Vegas or you are about to gamble online, sooner or later you will play Roulette. Around since before the French Revolution changed the course of history, Roulette games have attracted (and took money from) millions of gamblers already. If you plan to become one of them, make sure you read this article. 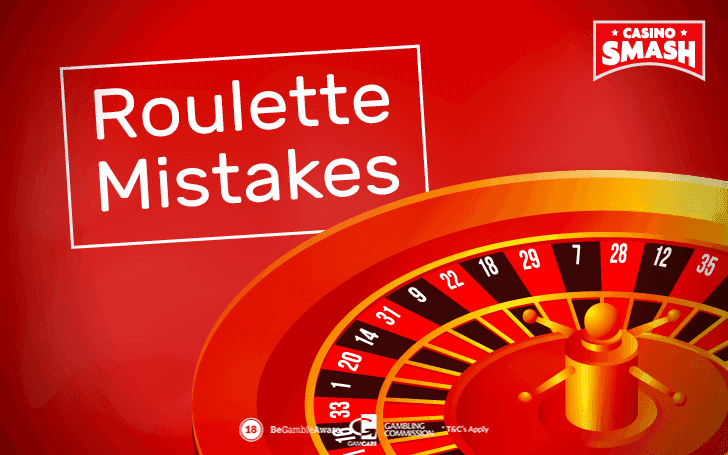 You are about to learn the most common mistakes beginners make when they play Roulette. Do you want to know why most players don't win much at the roulette wheel? Here you find all your answers. Most people 'just play Roulette' as if there was no difference between all the games you find at the Casino. Beginners think all Roulette games are the same and there are only cosmetic differences between most variants. Wrong. Roulette pros know this is a mistake and they know it's one that can cost you a fortune. An average online Casino site features 20+ games of Roulette (don't believe me? ). Are you sure they are all the same? European Roulette vs. American Roulette. The house edge of the American Roulette is of 5.26% while the house edge of the European Roulette is of 2.7%. Do you know why there's such a big difference? Compared to the European Roulette wheel, the American one features one more Slot (the '00'). This is what makes playing American Roulette games always a mistake. Check out the best games of European Roulette online and play with the best odds. The house edge is only 2.790% - GUARANTEED! Every time you play Roulette, you need to decide how much you can afford to lose. Things do not necessarily have to go t-h-a-t wrong all the time, but Roulette is a gambling game and, as such, it is one where you might not win. Whenever you log into an online Casino and throw in a deposit of $20 'to just play some games' - you make a mistake. Keeping a well-balanced and healthy bankroll is key to move up the rankings and become a professional Roulette player. A good bankroll helps you to quit when you are ahead (see Roulette Mistake #6) and pick the game with the most appropriate bet limits for you. To know more about how to manage your money and choose the right betting limits, have a look at this in-depth guide to bankroll management. …you probably deserve to lose. All gamblers know that when they visit a Casino for the first time they get some nice comps. Free drinks, free spins on Slots and free chips to play table games are pretty much a classic welcome gift. You collect them and you go to the bar to get your complimentary drink, you put the ticket inside the cheapest Slot to see if you can turn it into something more, and then use the chips to buy you some games of Blackjack or Roulette. So why don't you do the same when you play online!? Online Casinos would fill your pockets with bonuses if you'd only let them. As we get into 2019, you find any sorts of bonuses to play Roulette online. 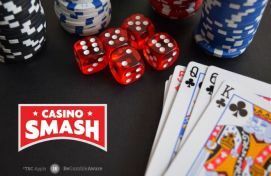 No deposit free cash, 500 percent bonuses on your deposit, packages that give you spins, money, and cash back on your losses. So, tell me: why aren't you looking for the best Roulette bonuses right now? Playing Roulette on the internet you have the chance to get more free money that you could ever get at any real Casinos. That's what you should be after. And if you are not, that's your mistake. Stop wasting your time. Grab this Roulette bonus now and play the best games online. Sign up and follow the instructions on the screen to collect your bonus and play free Roulette games! Despite what people say, betting on Roulette is not super-simple. Sure, you can bet your chips on Black / Red or Odd / Even all the time but…is that really the kind of fun you are looking for? And let's talk about the winnings: these beginner's bets pay 1:1 so you'll never win much. Or you will never recover from your losses when some bad rounds happen. Did you know the betting limits are different for inside and outside bets? Most bets have different odds and payouts. If you really want to stop playing like a beginner, check out this article on how to bet in Roulette. A lot of Roulette sites will try to sell you winnings systems based on the interpretations of so-called patterns that can help you earn cash. Or so they say, at least. Remember this: there are no patterns in the game of Roulette. Each game is different and there's no correlation between the different spins. Do not waste your money on systems that unveil winning patterns. Roulette is a gambling game and, as such, it is based on luck. Your only way to beat the house is to manage your bankroll well and to bet smart, not to base your choices on some kind of non-existent patterns. Speaking about bankroll management, here's one more key concept: you should never spend more than you planned. I know it's easier said than done, but you need to treat Roulette like the game it is and not like the one you want it to be. Don't let positive and negative streaks influence your decisions. Do like the pros. Professional players always set two limits before they start to play. They decide how much they can afford to lose and how much they want to win. Do this and you'll win a lot more. Decide on two numbers and stick to them no matter what happens during your games. You want to play online Roulette and you decide you can afford to lose $50. This is your negative limit. The best way to make sure you won't lose more? Keep only $50 in your account and do not connect your credit card. It's easier to stick to your initial decision if you can't do one-tap deposits. Also, you decide that you'll be satisfied if you 2x that and win at least $100. This is your positive limit. Option 1: You Lose It All. In this scenario, things just don't go your way. You lost your $50 and your bankroll is empty. Disconnect and try again another day. Revenge play is like revenge p**n. Nothing good ever comes out of it. Option 2: You Just Won $110. In this scenario not only you have reached your goal - but you have exceeded it. Congrats! When this happens, here's what you do: set the $100 aside (your positive limit) and think about what you want to do next. If you are done with your games, withdraw the $100 you decided you wanted to make and keep the $10 for later. If you want to continue playing, you need to restart from the beginning. Set two new limits and go ahead with your bets. Becoming a good Roulette player takes time and dedication. How to Get the Best Odds in Roulette?